Be sure to let us know what you think of the book! 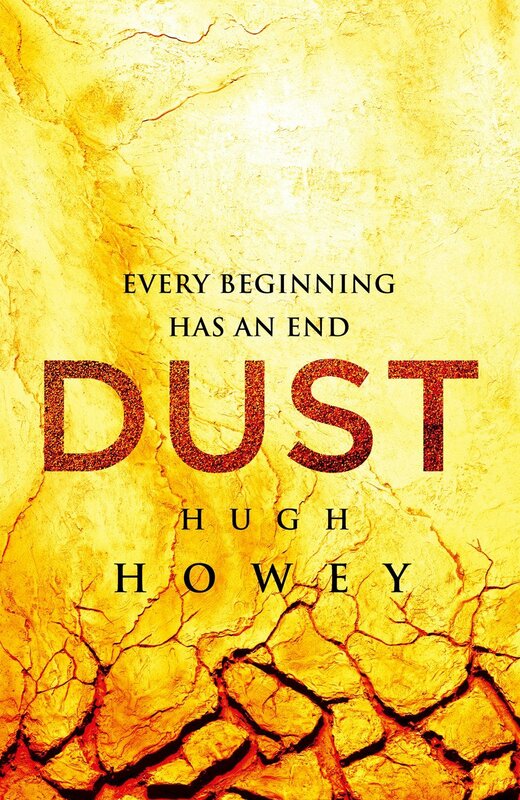 Those of you eagerly awaiting the next chapter in Hugh Howey’s WOOL series now have a definite release date to stare at for the next couple of months. DUST will be available on August 17, 2013. The book is available for pre-order from Amazon. Here’s the amazing full cover! To assist in obsessive book stalking, I have added a countdown to DUST in the sidebar. 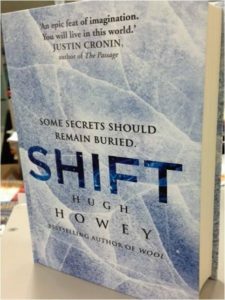 Take a look at this amazing cover for Shift! This book will be available in the UK. Third Shift: Pact, otherwise known as Wool 8, is one of today’s Kindle Daily Deals. Grab the book for just $0.99 on Amazon! 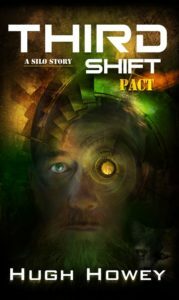 Third Shift is the final book in the three-part SHIFT series of Wool and returns us to Donald and also takes us deeper into the history of the fate of Silo 17. The release date for Wool’s hardcover and paperback publication with Simon & Schuster is approximately March 12, 2013, and the book is available for pre-order from Amazon (hardcover $15.77, paperback $9.59). Will you be getting yourself a hard copy to hold in your hands? I know I will be! 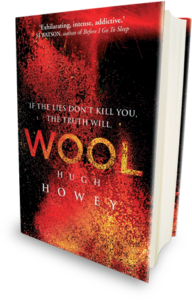 Wool fans in the UK who have been waiting for the chance to get a hard copy of Hugh Howey’s Omnibus edition can now find them in stores or online at Amazon.co.uk. The day is finally here!! Hugh Howey announced today via video that he’s signed a deal with Simon and Schuster for hardcover and paperback editions of ‘Wool’ to be published in the United States! Howey has been hesitant to sign a deal in the US due to the desire to retain his digital rights and keep the price of his book low to attract new readers. Looks like those of us in the States that have wanted a copy of Wool in our hands won’t have much longer to wait! Goodreads has nominated ‘Wool’ for its 2012 Goodreads Choice Award in Best Science Fiction. You can vote for ‘Wool’ in the opening round until Friday, November 9. 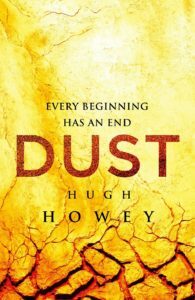 Hugh Howey has also been nominated for Best Goodreads Author. Vote here! Those of you anxiously waiting for another Wool story can now read a rough draft excerpt from Second Shift: Order (aka Wool 7) on Hugh’s website. He says it’s maybe 3-4 weeks away from being available for purchase on Amazon. This book focuses on the events in Silo 18 during the Great Uprising. For new readers, the first five Wool stories can be purchased together in Wool: Omnibus and Wool 6 is titled First Shift: Legacy. Deathdays were birthdays. That’s what they said, anyway, those who were left behind. They said this to ease their pain. An old man dies and a lottery is won. Children weep while hopeful parents cry tears of joy. Deathdays were birthdays, and no one knew this better than Mission Jones. It was the day before his seventeenth. Tomorrow, he would grow a year older. It would also mark seventeen years since his mother died. The cycle of life was everywhere—it wrapped around all things like the great spiral staircase—but nowhere else was it more evident, nowhere else could it be seen so clearly that a life given was one taken away. And so Mission approached his birthday with no joy, with a heavy load on his young back, thinking on death and celebrating nothing. Read the full excerpt at HughHowey.com. 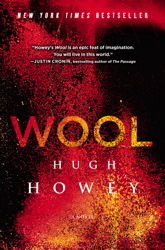 In celebration of Wool 1′s one taking off one year ago this month, author Hugh Howey has announced that the first short story, the one that started it all, is now free on the Amazon Kindle and iTunes and will remain free forever. It’s been funny being a fan, since I’m just one out of many, yet reading comments from others here and elsewhere on the Internet, I can tell that I feel the same kind of affection toward the book and its author as many others. We all want him to do well so badly and it’s been truly amazing watching him achieve new heights over the last six months since I first discovered Wool on Amazon. Now that Wool 1 is free online, we can all push it on friends and family even harder! So get cracking and apply pressure to everyone you know and get them to read Wool. © 2018. All Rights Reserved. 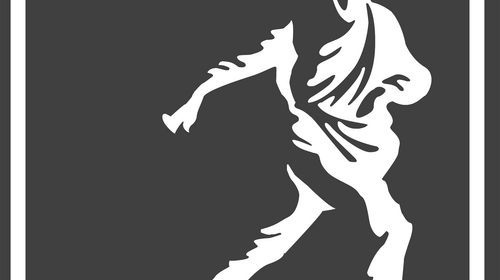 TheDownDeep.net is a Pikko's House fansite.